My favourite thing about Halloween is definitely buying Lush products. Halloween has never been a holiday I’ve loved, particularly. At uni it meant throwing on a pair of cat ears and scrawling whiskers on myself before going out to make the most of the cheap drink offers. Now I’m working, going out out on Halloween is not an option and I fully intend on having a soak in the bath with a bubble bar. I couldn’t wait to use Boo after I bought it; I had such high hopes. And it’s lovely. I always get excited when I find a Lush bath product that contains cocoa butter, which is the main ingredient of this bath melt, because it really works to soften the skin. The scents are subtle and gorgeous too — bergamot, geranium, ginger, sandalwood, mandarin… all in the form of oils for extra moisturisation. Grab yourself a Boo (or two!) before they’re gone. 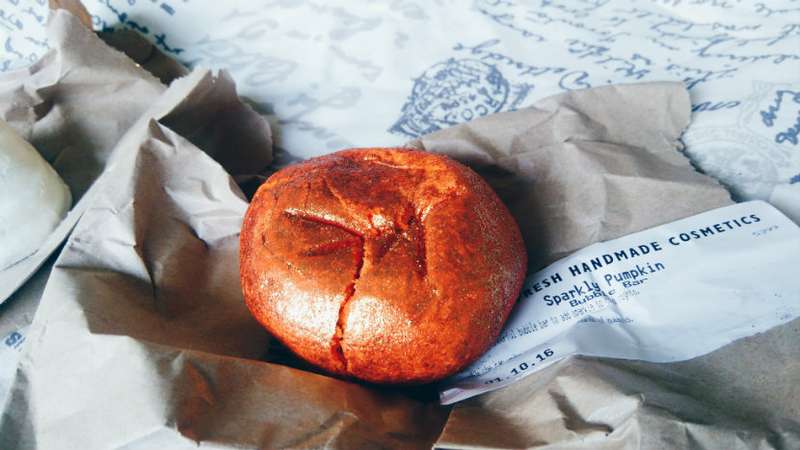 Of all the bath products I tried last autumn, Sparkly Pumpkin is the one that stuck in my mind so I was thrilled when I found out Lush were bringing it back! Normally I’m not into any of the glitter (or lustre, as they call it) that Lush seem to be putting into more and more of their bath products, but I’m happy to make an exception for this. Sparkly Pumpkin is a bubble bar — you simply break off a chunk and crumble it underneath the hot tap to create lots of lovely bubbles. Juniper, lime, and grapefruit combine to create a refreshing citrus-y scent with a little bit of warmth, which makes it ideal for pretty much any kind of day. I’ll be using mine in the evenings when I need to wind down after work. 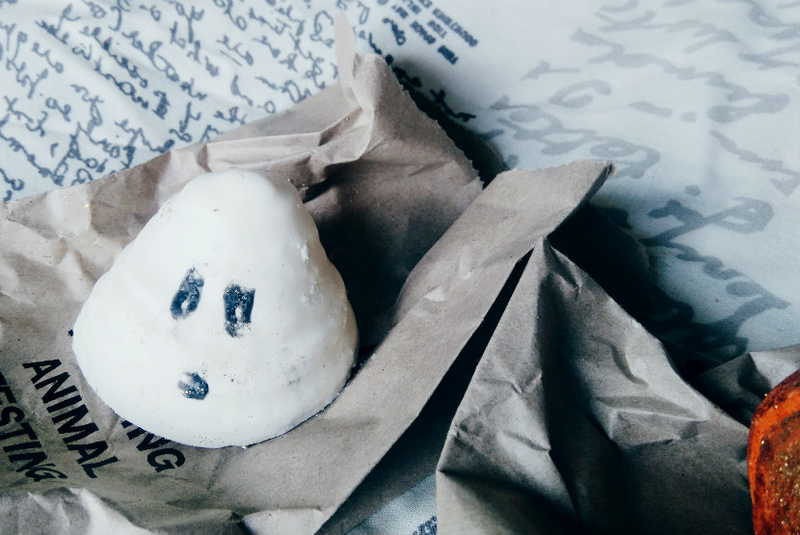 Have you tried any of the Lush Halloween products? What would you recommend? Let me know in the comments!